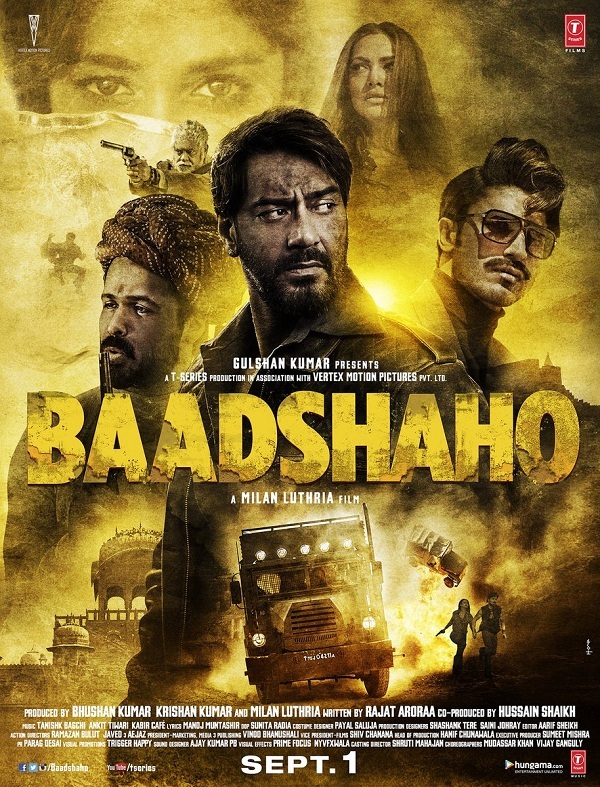 Here is presenting Official Teaser Trailer and First Look Movie Poster of Baadshaho starring Ajay Devgn, Emraan Hashmi, Ileana D'Cruz, Esha Gupta and Vidyut Jammwal. Teaser is simply Kickass. Film is directed by Milan Luthria and produced by Ajay Devgn. Film is slated for release on 1st September, 2017. 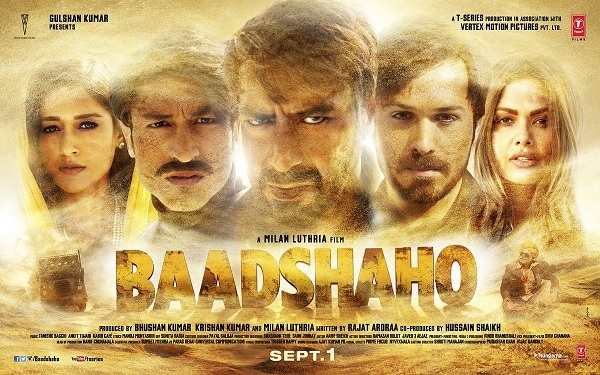 Baadshaho is one of the most awaited film of the year. Teaser is looking exciting and there is no doubt film will open big at ticket counters at the time of its release.